Ethics evolves, the law changes. In this way, moral progress may occur. Yet the relation between these processes is controversial and poorly understood. Regardless, both those who make and who rely on the law must—if they want to reduce the risk that those the law governs will come to see it as outdated and irrelevant—allow for the possibility that the law may lag behind ethics and acknowledge that the law must occasionally be changed in order to catch up. The Martens clause, which appears in several of the key instruments of international humanitarian law (IHL), arguably offers a mechanism whereby this process may be facilitated. Given contemporary fears that rapid progress in the development of new military technologies, and of robotic and autonomous weapons in particular, may outstrip the capacity IHL to regulate these systems effectively, a discussion of the Martens clause—and of the relation between law and ethics more generally—seems timely. The meaning and significance of the Martens clause is, inevitably, contested. Interpretations can fall, roughly speaking, into three categories. Powerful States have typically preferred a ‘narrow’ interpretation of the clause that renders it of little significance or even redundant. Such a narrow interpretation holds that the clause simply affirms that the signatories to the treaties in which it appears remain governed by customary international law. A ‘broad’ interpretation, which has often been preferred by human rights organisations and has also been defended by some other commentators, holds that the clause can itself be an independent source of law. That is, according to this interpretation, the sources referred to in the clause—‘… established custom, … the principles of humanity and …the dictates of public conscience’—can themselves form the basis for an argument that certain practices are prohibited by IHL even if not specifically mentioned elsewhere in the text of treaty documents. The claim that the Martens clause provides support for a prohibition on autonomous weapon systems, which has received some attention since its inclusion in the influential Human Rights Watch report, Losing Humanity, obviously relies upon this latter reading. Some authorities have also advocated a ‘moderate’ interpretation, which allows that the Martens clause may serve to help interpret the text of existing treaty law, or support an argument based on particular interpretations thereof, but does not itself support specific prohibitions. I cannot hope to settle the question of the most appropriate interpretation of the Martens clause in international law here: nor does my disciplinary background (I am neither a lawyer nor a historian of IHL, but a philosopher) render me well-suited to the attempt. What I can do is offer some observations about the role that references to the ‘dictates of public conscience’ and, to a lesser extent, ‘the principles of humanity’, might play in this larger debate, and thus in the contemporary controversy about the moral and legal status of autonomous weapon systems (AWS). On the narrow interpretation of the Martens clause, the dictates of public conscience are to be found in customary international law, and so there is no need to look any further to determine their content. This is itself a problem for this interpretation as the clause is most naturally read as identifying the dictates of the public conscience as one of the sources of such law. According to the broad interpretation, and also, perhaps, to the moderate interpretation, the dictates of the public conscience are an independent source of international law. If one wishes to advance either of the latter interpretations, then, determining what these dictates actually are, is of vital importance. Relatedly, the difficulty of this task has been thought by many to be a decisive objection to the broad interpretation of the Martens clause. One way to try to determine the dictates of public conscience is to ask the public. A number of individuals and organisations have recently conducted opinion polls surveying public attitudes towards the use of AWS (see, for instance, here, here, here, and here), sometimes with the explicit suggestion that their results are relevant, in the light of the Martens clause, to the debate about the legality of these systems. For the most part, these surveys have shown that respondents find the prospect of autonomous weapon systems deeply disturbing. However, a number of obvious problems beset this approach. Most importantly, to the extent that we are concerned with majority opinion, the relevant public is clearly a global public and we have as yet no reliable methodology for working out what the majority of the world’s denizens think about any topic. Even if we could somehow poll a genuinely representative sample of the public at a global scale, the results of such polls are notoriously subject to framing affects. That is to say, the public’s response tends to change depending on the precise wording of the question that they are asked. Furthermore, it seems unlikely that enough people have sufficient knowledge of the nature and potential uses of (as yet mostly hypothetical) AWS that the results of any such survey could have any particular normative weight. Finally, public opinion of this sort may shift, sometimes radically and rapidly, potentially rendering the content of the ‘principles of international law’ indeterminate at any given moment. Another place we might try to locate the public conscience is in the meditations of esteemed justices, community leaders and learned professors. While more amenable to lawyers, who tend with (some) good reason, to be conservative, as long as we defer to the majority opinion of the ‘authorities’ this proposal suffers from a similar set of deficits as polling the public. In particular, those who might plausibly claim expertise on the ethics of the use of new sorts of weapons tend to be citizens of the powerful nations that are developing these weapons and are often close, institutionally and politically, to the military—both factors that undermine the normative force of their conclusions considered as a group. I want to suggest that there is a way of bridging the differences between these methodologies so as to provide a better account of the dictates of public conscience. Theorists of ‘deliberative democracy’ emphasise the potential of public debate conducted in an open society to generate conclusions that have normative force. Their key insight is that the requirement that participants in public debate provide reasons for their conclusions—which is essential to their convincing others—can move people away from the pursuit of their narrow self-interest and towards a concern for the common good. The more people, with different perspectives, participate in public deliberation, the more confidence we can have that the conclusions of such deliberation are supported by reason and are not just the aggregation of sectarian interests. According to this account, then, we can use the distinction between ‘the conscience of the public’ and ‘the public conscience’ to mark a significant difference: the former is a mere aggregation of opinion, while the latter represents the conclusions of the deliberative process. Such deliberative processes occur in multiple fora, including in legal and academic circles. An emphasis on the outcomes of deliberation as opposed to the mere summing of interests can explain why we think that expert opinion should often hold particular weight. But the recognition that deliberation must include multiple perspectives and that entrenched material interests may distort processes of public deliberation can explain why we should treat the opinions of ‘the authorities’ with some suspicion and test and/or supplement them with the deliberations of broader publics. I believe we should therefore understand the dictates of public conscience as the conclusions of an open and inclusive process of deliberation conducted at multiple levels in as broad a community as possible. It is tempting, as a philosopher, to interpret references to the ‘principles of humanity’ in a similar way. That is to say, to understand these principles as referring to general moral principles that are revealed via the collective exercise of the distinctively human capacity of reason. Where the phrase ‘dictates of public conscience’ foregrounds the intersubjective foundations of moral claims—that they emerge out of relationships, and in discussions, between individuals—the formulation ‘principles of humanity’ emphasises the role played by the exercise of the human intellect in moral argument. However, it is important to acknowledge that the phrase ‘principles of humanity’ has a specific meaning in the context of IHL, where it refers to the idea that the methods and means of warfare available to the warring parties are not unlimited. Roughly speaking, the principles of humanity require that the use of force be governed by the principles contained in the just war theory doctrine of jus in bello (distinction, proportionality, and the avoidance of evil means). Having said that, references to the ‘principles of humanity’ and/or ‘humanitarian principles’ also have a broader currency in debates about the moral and legal foundations of IHL. Moreover, the limits placed on the warring parties by the principles of jus in bello themselves are normatively compelling to the extent that they represent the conclusions of a historical process of deliberation and moral reflection on what human beings owe each other even in wartime. A deliberative account of the dictates of public conscience and—more tendentiously—the principles of humanity has the potential both to render the content of each more determinate and to explain how they might plausibly serve as a distinct source of international law. As such, it lends support for a broader interpretation of the Martens clause. To the extent that it can be shown that the dictates of public conscience and the principles of humanity abjure the use of AWS then a broad interpretation of the Martens clause may render such use illegal under existing IHL. However, I have made no attempt here to establish that the dictates of public conscience—or the principles of humanity—do rule out the development and use of AWS. Elsewhere, in my academic writing (see here and here), I have argued that the deployment of such systems would constitute a grave risk to international peace and security, due to the risk of accidental war they would establish, and that their use would violate the human rights of combatants. But the arguments of any individual can only be a small contribution to a process of deliberation that must, if it is to reveal the dictates of the public conscience, embrace a multitude of perspectives from participants around the globe. What I do I hope I’ve shown is why, as we confront the possibility of AWS, this project might be held to be of vital importance. Rob Sparrow is a Professor in the Philosophy Program, a Chief Investigator in the Australian Research Council Centre of Excellence for Electromaterials Science and an adjunct Professor in the Monash Bioethics Centre, at Monash University, where he works on ethical issues raised by new technologies. He has published extensively on topics as diverse as the ethics of military robotics, Just War Theory, human enhancement and nanotechnology. He is a co-chair of the IEEE Technical Committee on Robot Ethics and was one of the founding members of the International Committee for Robot Arms Control. Thanks are due to Sasha Radin, Frank Sauer, Heather Roff, and two anonymous reviewers, all of whom provided assistance over the course of my thinking about these issues. Carpenter, Charli. 2013. How do Americans feel about fully autonomous weapons? Duck of Minerva, 10 June. Evans, Tyler D. 2012. 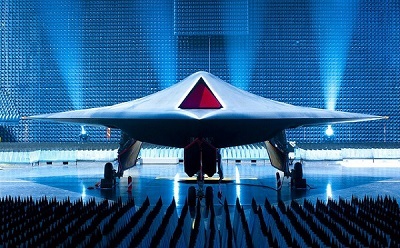 At war with the robots: Autonomous weapon systems and the Martens clause. Hofstra Law Review 41: 697–733. Horowitz, Michael C. 2016. Public opinion and the politics of the killer robots debate. Research & Politics 3(1): 2053168015627183. IPSOS 2017. Three in ten Americans support using autonomous weapons. 7 February 2017. Meron, Theodor. 2000. The Martens clause, Principles of humanity, and dictates of public conscience. American Journal of International Law 94(1): 78–89. Open Roboethics Initiative. 2015. The ethics and governance of lethal autonomous weapons systems: An international public opinion poll. 9 November, Vancouver, Canada. Sparrow, Robert. 2016. Robots and respect: Assessing the case against autonomous weapon systems. Ethics and International Affairs 30(1): 93–116. Sparrow, Robert. 2009. Predators or plowshares? Arms control of robotic weapons. IEEE Technology and Society 28(1): 25–29. Ticehurst, Rupert. 1997. The Martens clause and the laws of armed conflict. International Review of the Red Cross 317: 125–134. Asaro, P. (2016). “Jus nascendi, Robotic Weapons and the Martens Clause,” in Ryan Calo, Michael Froomkin and Ian Kerr (eds.) Robot Law, Edward Elgar Publishing, pp. 367–386.